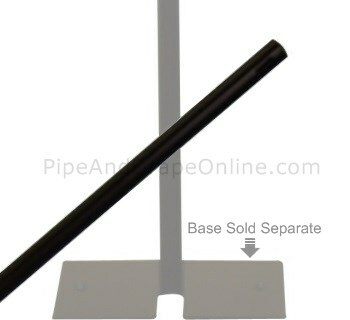 8 foot tall (96 inch) fixed height Black Upright with a 1.5 inch outside diameter. 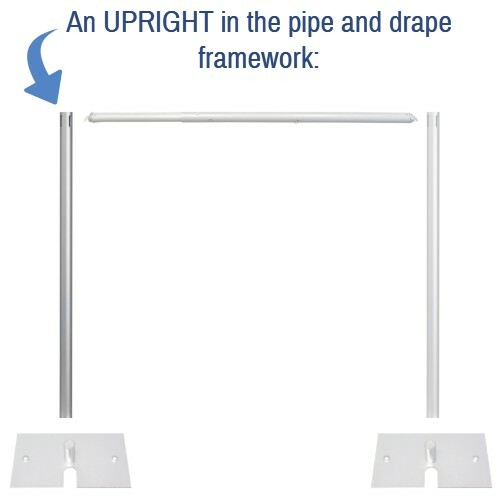 Four 90 degree slots at the top and at 3 feet tall allow for various configurations such as continuing a linear span, making right angle turns, creating "L" shapes, and creating trade show booth side walls. Available with an optional DuraTop upgrade (please note that the DuraTop piece is silver). 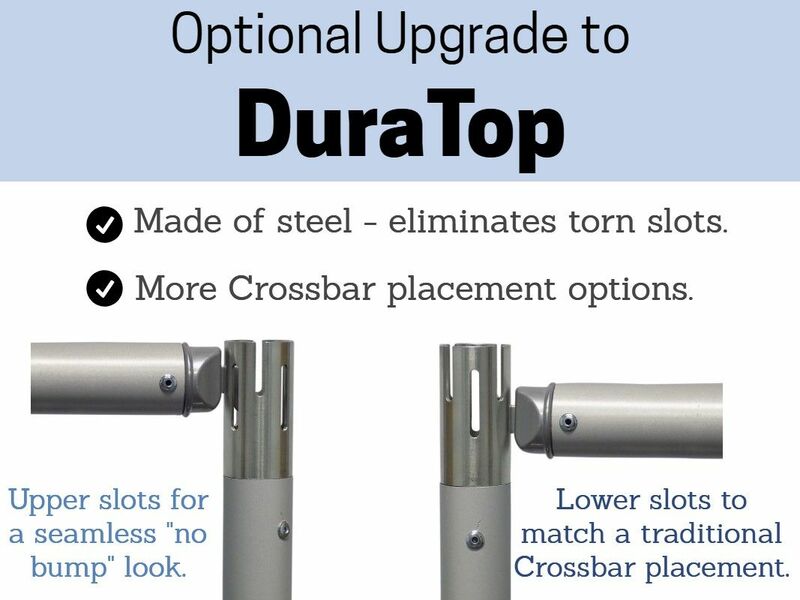 Learn more about the benefits of DuraTop uprights.